Yesterday Judge William H. Hooks sentenced Ryne San Hamel, the driver who fatally struck cyclist Bobby Cann in May 2013 while drunk and speeding, to a mere ten days in jail. This ruling proves once again the old adage that if you want to kill someone with few consequences, make sure they’re riding a bike. Prosecutors had hoped for a sentence of three to 14 years, but as part of a plea deal between San Hamel, his high-profile defense attorney, and the Cook County state’s attorney’s office, the motorist received the absurdly light jail sentence plus four years probation. He is also required to pay $25,000 to Cann’s family for funeral expenses. All in all, this represents a slap on the wrist for a man who had been arrested twice before on alcohol-related charges while behind the wheel, and made the decision to get behind the wheel drunk a third time, and cut short the life of a beloved young man in his prime. Cann, 26, a native of New Hampshire, was working at Groupon at the time of his death. Family and friends remembered him as a talented, kindhearted man who loved to bicycle and was always encouraging other to ride. San Hamel, now 32, grew up in a politically connected family in the affluent Chicago suburb of Park Ridge, according to an October 2013 article in the Chicago Reader. During his senior year of high school, he was arrest twice while behind the wheel for alcohol-related charges, but the charges were ultimately dismissed, the usual state of affairs for Illinois defendants who can afford a private lawyer. In the first case, when San Hamel was observed drifting between lanes and had open containers of beer in his car, he was charged with underaged drinking. After the second incident, during which he had “glassy and bloodshot eyes,” and “a strong smell of alcoholic beverage” on his breath, according to a responding officer, San Hamel was charged with misdemeanor DUI, but the charge was dropped as part of a plea deal. Ten years later on May 29, 2013, at about 6:35 p.m., after celebrating a Cubs victory in Wrigleyville, San Hamel was driving his Mercedes Benz southeast on Clybourn when he fatally struck Cann, who was biking home from work, as he rode north on Larrabee. The cyclist went through the windshield and his leg was severed. He was pronounced dead a half hour after the crash. Although prosecutors said San Hamel had a green light, he was found to have a blood-alcohol level of 0.15 percent – nearly twice the legal limit. Investigators also determined that he was going at least 50-60 mph in a 30 mph zone. San Hamel was charged with reckless homicide and aggravated DUI. He eventually hired attorney Sam Adam, a high-paid celebrity lawyer whose previous clients include ex-governor Rod Blagojevich and R&B star R. Kelly. The case dragged on for three years while Adam tried various strategies to get the charges dropped on technicalities. As part of the plea deal, San Hamel pleaded guilty to the homicide and DUI charges in exchange for the shockingly lenient sentence. “We asked the judge for prison time because we felt that was appropriate for this case,” said Cook County state’s attorney spokeswoman Tandra Simonton. “The judge made his decision.” She declined to comment on whether the state’s attorney’s office believes the sentence to be just. That logic makes no sense. San Hamel had twice been through the legal system for drinking and driving, and yet he chose to do it a third time. While I don’t doubt that he regrets taking a life, the fact that there are almost no consequences for his actions makes it more likely that he’ll make the same mistake a fourth time, perhaps causing another tragedy. You can express your opinion about Hooks’ sentencing decision on his page on the Robing Room, a website for rating judges. We’ll keep you posted on any further actions you can take in support of the Cann family in the future. 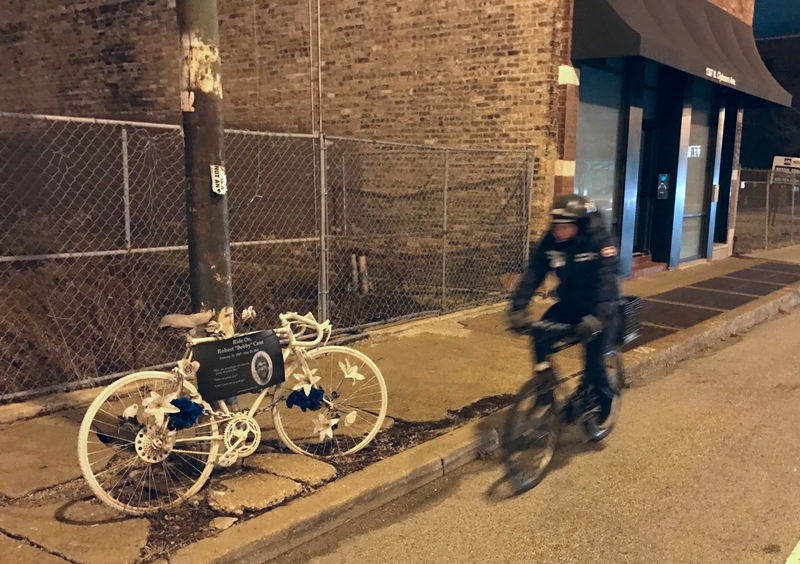 The Bobby Cann case calls to mind the light sentence given to the drunk driver who fatally struck former Marine and aspiring chef Hector Avalos, 28, as he was biking in Chicago’s Douglas Park neighborhood on December 6, 2013. Like San Hamel, the driver, Stroger Hospital administrator Robert Vais, now 57, had a blood-alcohol content of 0.15. He was sentenced to 100 days in state prison and two years probation. At least in Vais’ case, the defendant had a clean driving record and 150 people wrote letters vouching for his character as a family man who contributed to his community by volunteering as a coach. 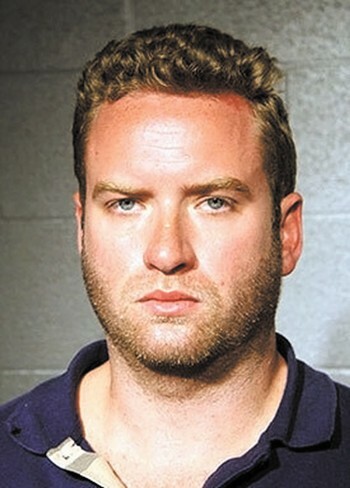 Again, San Hamel was twice arrested for driving drunk before he killed Cann, and at the time of the crash he was working for a bar specials website called All You Can Drink. Why did he deserve leniency? The Cann family has a wrongful death lawsuit pending against San Hamel, so perhaps that will result in additional compensation, but that would provide little solace for their loss. Hopefully this court decision, unjust as it is, will eventually bring them some sense of closure, but I fear it has also caused them additional pain. I’m sure he had a lot of “remorse” the last time he had a DUI. And will have it the next time. And who knows how many times he got behind the wheel drunk without getting caught. He didn’t learn the lesson before because there were zero consequences for him. I am ashamed to say that in my HS days, I too drove under the influence a handful of times. However, seeing a close friend get caught, and the consequences of it, was enough for me to never do it again. Who knows what I would have thought all those years ago if he had gotten off with just a traffic ticket. Guilty of drunken vehicular homicide = 10 days in jail. After all the measures we take as a society to make sure this doesn’t happen. All the laws, enforcement, advertizing, teachings.. If the high profile lawyers made the difference in this case, maybe we get together a fund to help out the wrongful death lawsuit. The judge is supposed to weigh the facts, not the dollars, but it really seems like it comes down to money. What he needs are consequences to his actions. Was the States Attorney, Kim Foxx, required to accept this plea bargain? Should criticism be directed to the state for accepting this? So what do we do with our anger and disgust at this ridiculous 10 day sentence? And what was really going on here? Faulty prosecution? A sweet deal between the San Hamels, Atty Sam Adam, and Judge Hooks? This really smells. Any justice system that allows money to buy favor is totally rotten. While this is an absolute tragedy and injustice we shouldn’t be surprised that the justice system created to serve the elite has failed again. Remember it’s the same one that puts people in prison for being poor or the wrong skin tone and allows bankers to wreck the economy without consequence. I’m not sure that a longer prison sentence would stop this from happening again. I’m more concerned about the status of San Hamel’s driver’s license—I assume four years probation means no license? What about after that? Also $25,000 in damages seem extremely low. Was there a civil preceding as well? The “San Hamel has a green light, Cann had a red light” jumps out at me. I can’t imagine they’d have taken San Hamel’s word on that given that he was drunk. As frequently noted on streetsblog, the same would not be the case of a sober driver with no evidence of speeding, there the driver being alive to tell their story “wins”, but not with a drunk. Was there a camera or another driver stopped on Larrabee? I had never seen that stated before about this case. I may have missed it or maybe it’s just new information. If Cann ran a red light, that’s contributory negligence, even if Illinois had an Idaho stop law, which it doesn’t. Civil and criminal cases are rarely (if not never) decided together. Those damages are criminal damages, not civil. Civil will be a separate case filed by Cann’s family. But Cann ran the read light (which video clearly shows). While this is tragic, it goes to show that cyclists need to be safe in intersections. Again, I don’t condone what the driver did, but if Cann had been stopped at the red light, he likely wouldn’t have been hit. San Hamel was going roughly twice the speed limit. It’s likely that Cann was doing an “Idaho stop,” i.e., treating a red light like a stop sign, a widespread and generally safe practice that is legal in the state of Idaho. He probably looked for cross traffic and thought it was safe to proceed, because he didn’t expect a driver to come zooming out of nowhere at expressway speed on a city street. Moreover, if San Hamel hadn’t been traveling at such a wildly dangerous velocity, and hadn’t had about twice the legal blood alcohol level, it’s likely he would had the time and awareness to hit the brakes and avoid the crash. But, again, if he’d being going 30 mph, Cann probably would have seen the car in time to avoid entering the intersection. While Cann wasn’t following the letter of the law, what he was doing would have been fairly safe, were it not for the fact that San Hamel was driving at an insane speed while wasted. The blame for this tragedy lies squarely on the driver’s shoulders. Again, while this is tragic, your argument that “treating a red light like a stop sign, a widespread and generally safe practice that is legal in the state of Idaho” is somehow ok, just isn’t. Had he stopped at the light, and waited until it turned green, we probably wouldn’t be having this discussion. I’m not defending Hamel, or the fact that he was speeding, or drunk. This is a good lesson for all road users to be aware. And if you are on a bike, or walking, follow the signs. Don’t run red lights. Don’t step out in front of moving traffic. LOOK before you cross the street. It’s YOUR life. While it makes sense to travel the streets of Chicago defensively, because dangerous driving is so common here, what you’re doing in victim blaming. It appears Cann’s behavior was essentially safe, except for the fact that there was a wasted driver going at an absurdly unsafe speed towards him. You are, in effect, defending San Hamel by downplaying the fact that his selfish, irresponsible choices are what caused this senseless death. That’s what John is saying, he probably did LOOK. Having the a green light or the ROW is no shield. Did you ever think Hamel only “had” the green light because he was going so fast? I can’t say if it was the case here because I don’t know what the intersection looked liked in 2013, but who here hasn’t seen a motorist or cyclist speed up because they saw the countdown timer/red hand begin to flash or phase begin to change? How do you know what the video shows? Have you seen it? It’s what I read. How you know what it shows? Have you seen it? What?? How does change whether or not the cyclist ran the red light? THAT we know as FACT. I’m not, but if someone runs a red light, whether it APPEARED to be safe or not, means they put themselves in danger. Never said it did. But you act like a green light is some sort of magic shield. Let me state up front that I’m assuming the fact that the light was red to Larrabee and green to Clybourn. The articles about the sentencing are the first I’d read that stated. I’m going to presume this came not from the speeding, drunk driver, but from a camera or a witness (driver, pedestrian, etc) who was stopped at the red light on Larrabee. I know that all too often the driver’s story is taken as fact because the cyclist is not alive to tell his story. In this case, I have serious doubts that the police or prosecutor would take the word of a drunk driver that he had a green light. Sadly, I have to disagree here. In civil court this is called contributory negligence. When Cann ran the red light, even though San Hamel was drunk and speeding, it does not matter, Cann’s actions *also* contributed to the crash. Because his actions were illegal under Illinois law, he is being negligent. I’m in complete agreement with you that the police have better things to do with their time than to ticket cyclists for running red lights (*especially* at 6-ways when doing so without crossing traffic that has a green). I freely admit that I do it myself. But when we run red lights, we are taking a risk. Same as when you cross a street against a don’t walk. Before the protected lanes went in on Clybourn, before New City went up, before Target opened (6 months after this crash), that stretch of Clybourn was even more desolate than it is now and it was wider. Drivers regularly would be driving at 40+ mph. I would not say running a red light on an arterial where people regularly speed is “essentially safe”. Has anyone seen the video? Where? I think we all need to see it, Nobody can say “which the video CLEARLY shows” without having seen the actual video. “It’s what I read” – that’s what it clearly shows? In an effort to understand what might have motivated the judge's ruling, last week I viewed security-camera footage of the crash and analyzed the transcript of the January 26 sentencing hearing.